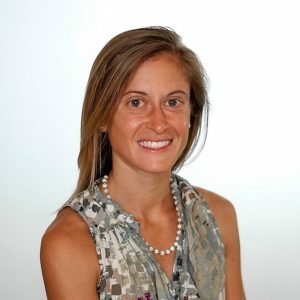 Liz Greenlaw serves the Northern Virginia and DC communities as an Integrative Nutrition Health Coach and wellness consultant. She is a graduate of both the Institute for Integrative Nutrition (IIN) and the University of Virginia, where she discovered her love for holistic health, nutrition, and a passion for fitness and endurance sports. As a nutrition coach and the founder of Live Well With Liz, LLC, she’s dedicated to helping people achieve their personal wellness goals and find the best version of themselves through clean eating strategies, fitness, and mindfulness practices. Liz’s work goes well beyond meal planning – her mission is to help others discover who they are, who they want to be, and what steps are required to get there. Liz’s work is based on nourishment in 3 key areas: physical, mental, and emotional well-being. Her strategies help people discover which foods nourish their bodies, teach clients how to establish healthy lifestyle patterns that support their goals and guide them in reaching deeper levels of positive mindsets and emotions. Ultimately, the goal of Liz’s coaching is to educate people on how to live in a positive relationship with their bodies and know how to take care of them for long-term health and vitality. Liz focuses on teaching people the importance of self-care and proper nutrition through a bio-individual approach: the idea that there is not only one style of eating, exercising or living that’s right for everyone. Instead of a “cookie-cutter” approach, Liz’s one-on-one and group coaching sessions are personalized in a way that helps clients find the best foods and routines that fit their unique body types and lifestyles. Liz brings a high level of compassion and understanding when working with both men and women of all ages to set achievable health and nutrition goals, and she considers it an honor to be able to help people reach an optimal state of wellness. In her free time, Liz trains for and competes at a high level in major road races across the country as a member of the local Northern VA Potomac River Running race team. And while she mostly enjoys the half and full marathon distances, she will look for anything that challenges her body, mind, and spirit. With a newfound respect for cross-training, Liz has picked up cycling, hiking, hot yoga and weight training to keep her strong and injury-free on the race scene! When she’s not working out or studying up on the latest nutrition research, Liz loves writing (she’s currently working on publishing two books!) and guest-blogging for various publications, volunteering with her Church community, and traveling with her husband, Jerry. She’s happy doing pretty much anything as long as it involves the great outdoors. Have questions? Contact Liz today!